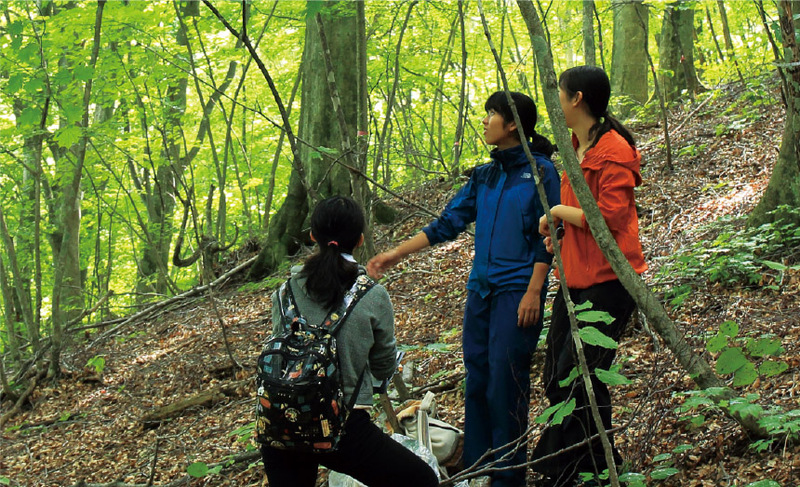 The diverse subject of Mountain Science, which covers biology, agriculture, earth science, and environmental science is set on the fields of various mountain areas and is open to university and graduate students nationwide. 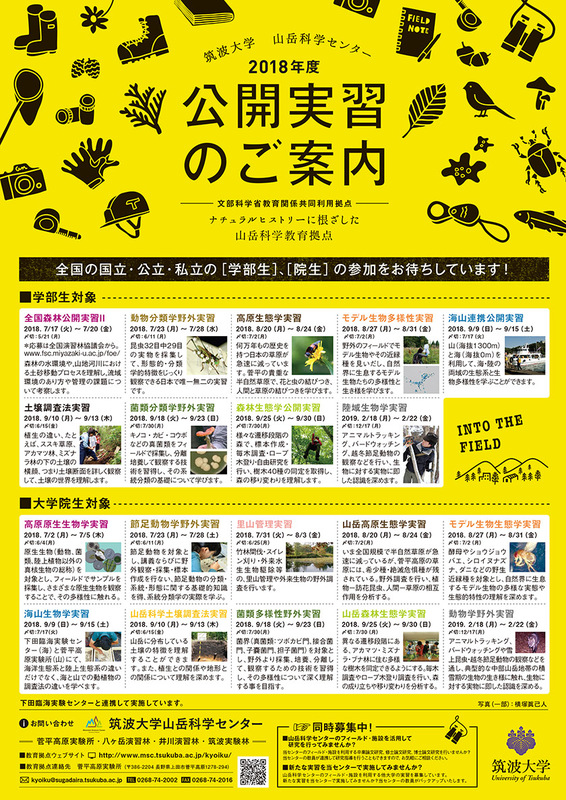 It is divided into the fields of mountains, forests, grasslands, and satoyama (foothills). We hope you’ll join in engaging directly with living organisms, and discovering the nature of the mountains, and the efforts of people. 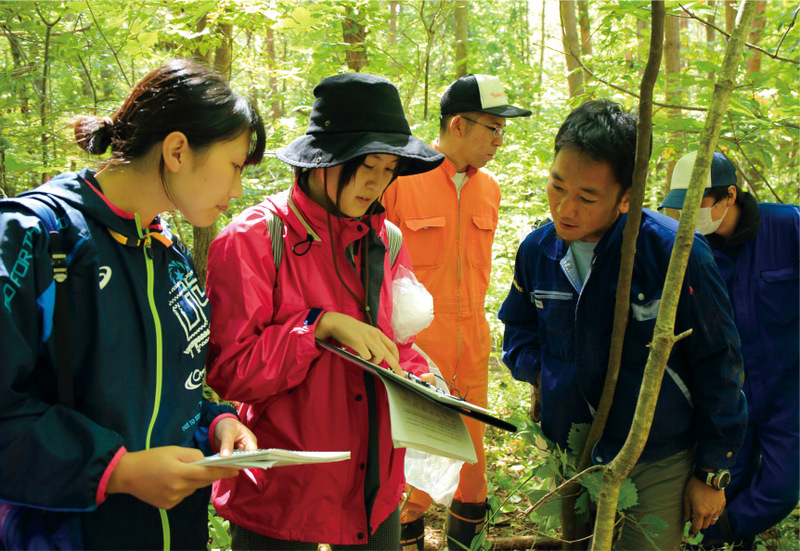 Mountain Science education is offered in the form of open exercises, commissioned exercises, and research instruction. This education takes place at field stations. Please see the overview of field stations below for details regarding the location of each field station and its facilities. What are the Joint Usage Education Centers? It is a system that was established in September 2009 by the Minister of Education, Culture, Sports, Science and Technology to support initiatives at universities for developing diverse and advanced education at national, public, and private universities by promoting the shared use of the human and physical resources each university possesses to provide high quality education that meets the needs of students and our diversifying society. The exercises are open to all university and graduate students at national, public, and private universities nationwide. The University of Tsukuba can issue a transcript and the participant can then receive credits at their own university. For details, please inquire with the faculty in charge at your university. There is no charge for tuition. Accommodation and meals are charged. Professors at other universities can organize exercises using the Center’s fields and facilities. It is also possible for the faculty at this Center to lend their support. Accreditation will be granted by the university using the Center. Students and graduate students affiliated with the laboratories of faculty at other universities can use the Center’s fields and facilities for their graduation thesis research or master’s/doctoral thesis research. Faculty at our center can also conduct joint research instruction.